My name is Misty, and I am totally winging motherhood. 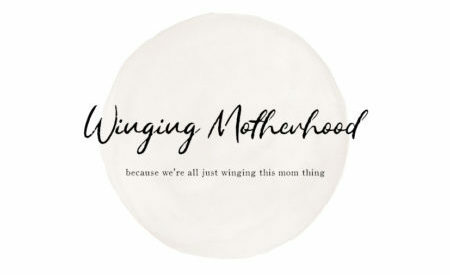 If you knew me before I became a mom, you wouldn’t guess that I could ever wing anything. I am (or at least I was in my pre-parent life) your dictionary definition of Type A. I am competitive, I am ambitious, I am organized, I don’t like to sit still, I talk fast, I am always in a hurry. Wasting time is one of my biggest pet peeves. I always follow the rules. I hate being told what to do. I am self-critical and don’t like to try something new if I think I might fail. And then my husband and I decided to create a tiny human. My introduction to motherhood was not what you would consider ideal. 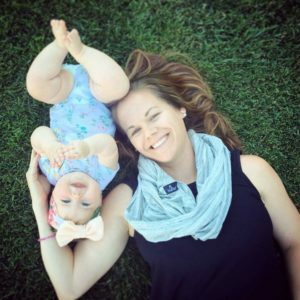 I did what a lot of women do when they decide they’re ready to start a family – I stopped my birth control a couple of months in advance, I started a prenatal vitamin and I began to track my cycle and calculate my fertile window. I knew exactly when I wanted to have a baby (late spring/early summer so I wouldn’t have to go through the summer in my third trimester), so I knew exactly when we should try to conceive. It seemed as though all of my preparation paid off because everything worked out exactly according to plan. I got pregnant in August (on the first try, my Type A self was fist pumping something fierce) and I was due May 20th. When I called my OB they said they didn’t need to see me for my first prenatal visit until 10 weeks, so I was scheduled for October 20th. October 20th could not come soon enough. 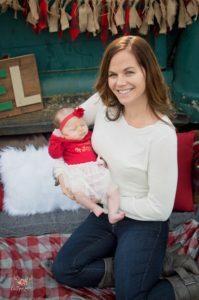 I sat anxiously in the waiting room, jabbering away to my husband about how we would break the news to family and friends – because we followed the rules, we didn’t tell a soul about the pregnancy, because you just didn’t do that until the first trimester was over. October 20th came. October 20th is a day I will remember forever. October 20th is the day my world changed forever. The baby that I was so excited to share with the world did not have a heartbeat. I couldn’t wrap my mind around it. I did everything I was supposed to do. I was a picture of health. This didn’t happen to healthy people who followed the rules. But it happened to me. And I am far from alone. On average, it is estimated that 1 in 4 pregnancies ends in miscarriage. I realized this year that October is Pregnancy and Infant Loss Awareness Month. How fitting it seemed that the day that represents my loss falls within this month. It is a day that holds no special meaning to anyone else in my circle of family and friends. Not even my husband realizes that October 20th has any sort of significance for us. He was incredibly supportive, but he wasn’t carrying the baby. He hadn’t yet established any sort of connection. It wasn’t ‘real’ for him – his words, not mine. And the friends and family I confided in were wonderful. I received cards. I received baskets of sunshine. I received hugs and words of encouragement. But still I grieved. It felt like it would never end. No one understood. Time was supposed to heal, but the more time that passed, the further into darkness I fell. And then a conversation with my college roommate changed everything. She told me ‘this will forever change you’. And suddenly I was off the hook. I could stop waiting to feel ‘back to normal’, because I would never be that person again. For the first time I felt somewhat free. Free from the weight of sadness and grief that had been holding me hostage for the past several months. I would never be the same. And much of that change included learning how to wing it. You can follow the rules. You can plan and prepare and do everything you’re supposed to do. And sometimes things still don’t work out the way you hope. Coming to accept that, understanding that life just isn’t fair sometimes, realizing that not everything happens for a reason…that is what allowed me to learn how to wing it. It took a while before I could even say the word miscarriage without breaking down in tears, and even now, two years later, I can’t think about that time without a lump forming in my throat. I’ve gotten better at holding back the tears; however, I don’t always win that battle either. But that is a story for another day. As is the roller coaster ride of a pregnancy I had the second time around…so be sure to keep following. Winging it isn’t so bad after all…did I really just say that?! Okay, maybe I haven’t mastered the art of winging everything (I’m totally guilty of reloading the dishwasher after my husband loads it), but I’m working on it. So if you, like me, are winging this whole mom thing, stick around. I promise not every post will be as sad and sappy. I’m so sorry for your loss! I can’t even imagine how heartbreaking that must have been, and still is. Thank you for sharing your story! Love this. Sorry for your loss.